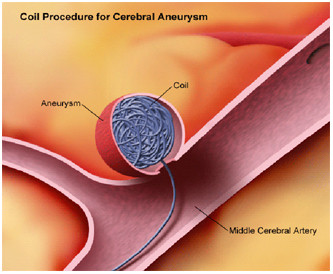 Endovascular coiling is a minimally invasive technique, which means an incision in the skull is not required to treat the cerebral aneurysm. The procedure is done under a general anaesthetic. A minimum 2-night stay is required after the procedure. A small incision is made in the groin through which a tiny catheter is guided through an artery into the brain vessels. Soft platinum are deposited through the microcatheter into the aneurysms. 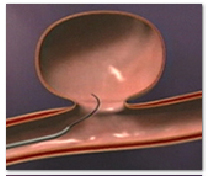 The coils confirm to the often irregular shape of an aneurysm. 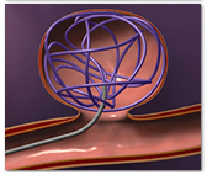 An average of 5-6 coils is required for each aneurysm. 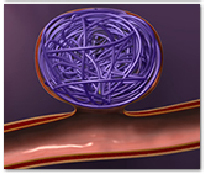 Coils will prevent blood flow into the aneurysm.